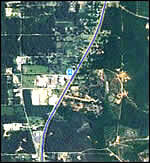 2 mile rails-to-trails walking trail passing historic sites such as the Railroad Museum and the Surrender Oak site. 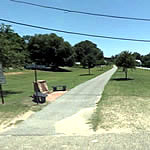 The trail also has park benches, picnic tables and is flat providing for an easy walk. Rail to Trails features the Railroad museum, Hygeia Cottage, and the Surrender Oak site of the Civil War. From Mobile; I-65 exit 13�west on Hwy 158, right onto HWY 45 for approx. 20 miles. Trail parallel to Hwy 45 and follows along Main Street.